Seeing as summer is here but my summer body isn't, I've embarked on a regimen of tightening the reins on my food indulgences, at least for a bit. As such, I optimistically stocked up on what would provide 2 generous servings of vegetables per person per meal this week. That meant I'd have to also kick it up a notch in the kitchen. I cooked Monday and Tuesday nights, forced myself to prep on Wednesday, and then back in the kitchen for dinner on Thursday night. Keep in mind, I've been working as a prep cook at Nourish in Tempe for the last three months. Some days, I come home from work and continue to cook for a couple of hours, and sometimes I won't cook at home for days. Wednesday, I cooked all day, came home and hung out with my mom, went to an essential oils class, and by the time I was finished, it was after 9. I almost gave up on making food (my plan was to cook up a bunch of yellowtail and make fish tacos, cole slaw (already made) and lime mayo). I stopped and thought about what I could prepare for the week - something, ANYTHING to lighten my load tomorrow. I decided to make coconut lime sticky rice and mayonnaise. That way, I could make lime mayo the next day along with the rest of the meal, and have rice for leftover beef biryani and as a side for tacos. I've made different versions of sticky rice in the pressure cooker, but I felt like something different. I took out some spices and went to work: turmeric, coriander, garlic powder, chili powder, cumin, lime zest and juice. 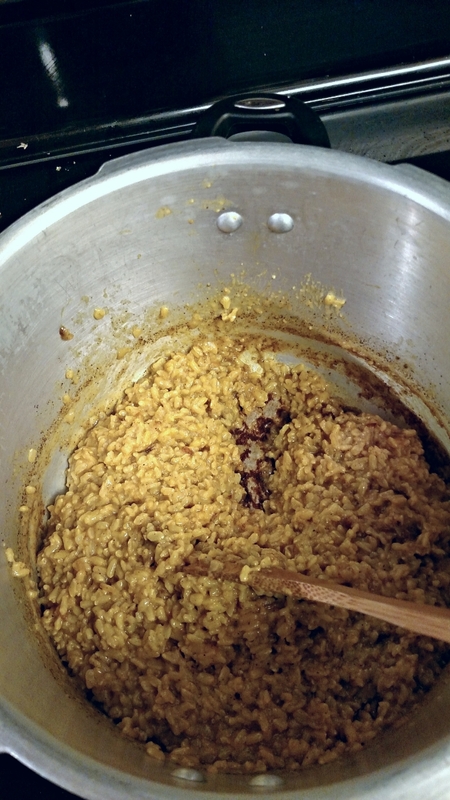 I mixed water, chicken stock, lime juice, and coconut milk as liquids for the rice, and added the spices. You want the finished product to be sticky with a browned layer at the bottom - not too burnt - but crusty. Scrape the bottom of the pan and the browned pieces make the rice have a nice texture of sticky and crunchy. I was disappointed in the rice. First, it was waaaaaaay too sticky, and the flavor profile was off. Not bad. "It eats," as Mr. B would say. In hindsight, I remember that I added a 1/2 C too much liquid. Oh well. I've been eating lower carb so Daniel will have to take one for the team on the weird rice. Lesson: experiment with flavors, herbs, and spices. Sometimes it might turn out weird, most of the time it will be good if you use ingredients that you like. If anything, I improve my cooking with each mistake. I give myself room to try and make mistakes in the kitchen and in life. Homemade mayo is one of the best things in life. You suddenly want to start putting it on everything. 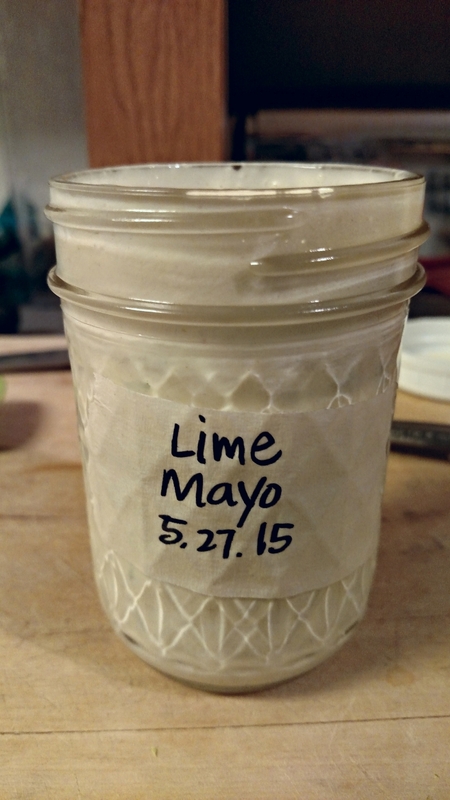 Seems gross coming from store bought mayo, but not homemade. To make it, you have to add in the oil slowly so that it emulsifies. This can be a real drag. I got on a step stool so that I wasn't holding my arm up for too long (ouch!) and I leaned the measuring cup at the perfect angle so the oil would drip in as it's supposed to and I can be as comfortable as possible. Once I pushed through these two tasks, I had to clean the kitchen! Where is my kitchen staff? Although I was cleaning as I went, there was still substantial work to do. I like to set myself up with a clean kitchen when it's time to cook so that I stay motivated. If the kitchen is dirty, I'm apt to quit on food prep. I made a deal with myself and cleaned about 85% (my rough estimation), and committed to a 15% clean up in the morning. That way, I could give myself a break and still have the kitchen cleaned before I cook next time. I used to obsess over a clean kitchen. Don't get me wrong, in my ideal world, I go to bed each night with a shiny clean sink and everything put away or at least cleaned. I decided that if I was going to live in harmony with anyone, I had to give a little. You can't do it all, but you can do a little bit each day. 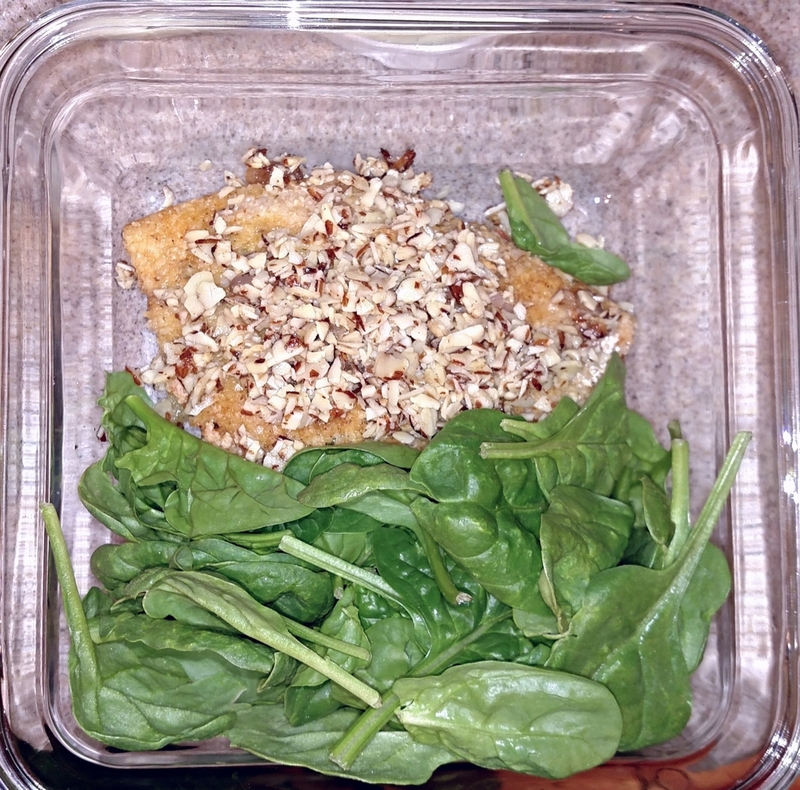 Adjusting to making meals from scratch and learning new cooking techniques and recipes can be time consuming. Find ways to make it happen - like make one or two things today that will help you tomorrow - or let the dishes go for now (maybe the dish fairy will make an appearance? ), whatever you need to keep feeling good through the process of getting/staying healthy. I'll even show you pictures of my dirty kitchen (s*** just got real!). Beef biryani with cauliflower fried "rice"
On deck: whole boiled chicken, chicken lettuce wraps, Asian chicken salad, chicken stock, sauteéd greens. If you have a whole chicken, you have multiple meals. What's cooking in your kitchen this week? How do you give yourself a break or give in on something so that you can have something else?